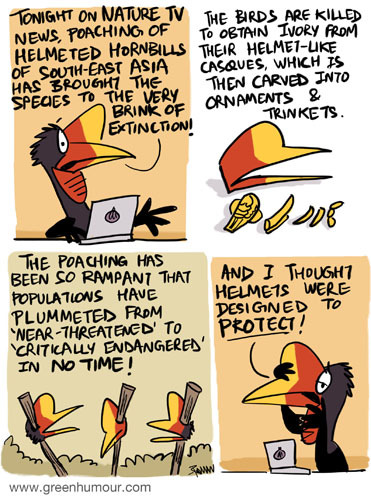 Poaching of Helmeted Hornbills for 'Hornbill Ivory' is decimating the populations of the species and the bird may be driven to extinction sooner than we think! This inhabitant of South-East Asia has been one of the worst-hit victims of poaching in recent times. The comic appears in my column with The Hindu Blink.